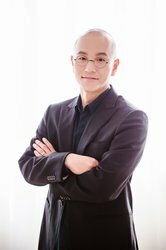 Young Sun Kim is the voice talent behind 707! He has voiced several roles from Harry Potter to Ethan Hunt from Mission Impossible and is the voice of Elijah Wood in Korea. He also does quite a few animated roles such as Howl from Howl's Moving Castle, Saitama from One Punch Man, Light in Death Note, and Prince Ashitaka from Princess Mononoke. You may even know him as Barry in Pokémon, Sasuke from Naruto, or Leonardo in Teenage Mutant Ninja Turtles.